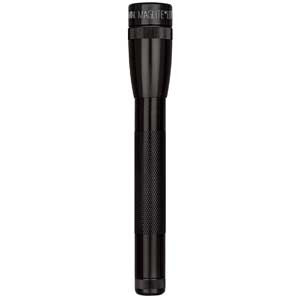 This is the LED version of the classic MiniMag flashlight, it uses two AA batteries as the normal minimag and the body is very similar, anodized aluminium with groves in the tail and the head. The similarities between both lights end with that and differences begin. The LED MiniMag is slightly longer than the regular light, the head being the part that is now enlarged. Instead of the incandescent bulb in the regular MiniMag the MagLED has a luxeon III LED, the light is activated twisting and untisting the bezel which also works to change the focus of the light going from a tight hotspot beam to a very broad floody beam. The beam is better than the regular maglite with less artifacts. The MagLED is not regulated so as the batteries get drained the light will get dimmer, it produces more than 50% of the output for about 3 hours and then dimms quickly to become almost unniticeable after 3 hours and 40 minutes. The output is very respectable, a lot brighter than the previous minimag and since the LED has more than 100.000 hours of lifetime there is no spare bulb in the tailcap and the light is more resistant to shock and falls. The MagLED is a very improved minimag, we still don't like the fact that every time the light is turned on the focus needs to be adjusted but the improvements certainly make this flashlight a better option than the regular maglite. You can get it for $25 form LightHound.